Take a step back in Dallas dining history. 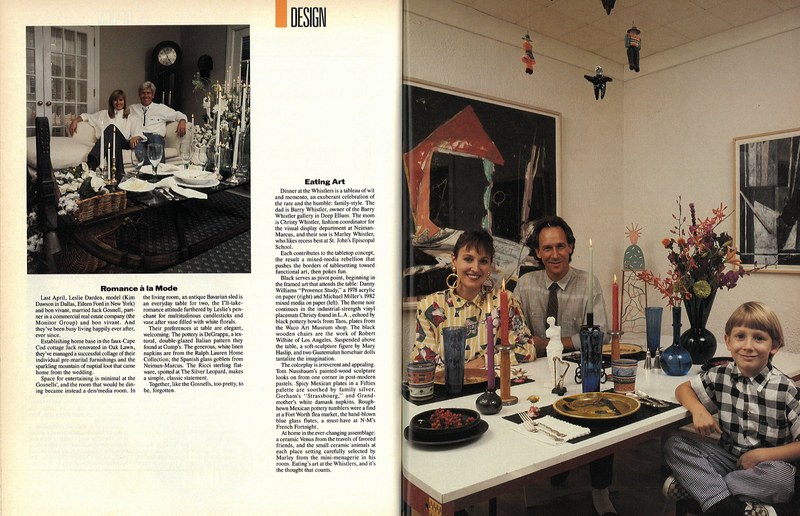 There’s a story in the November 1987 issue of D Magazine that highlights a handful of notable Dallasites’ tablescapes. 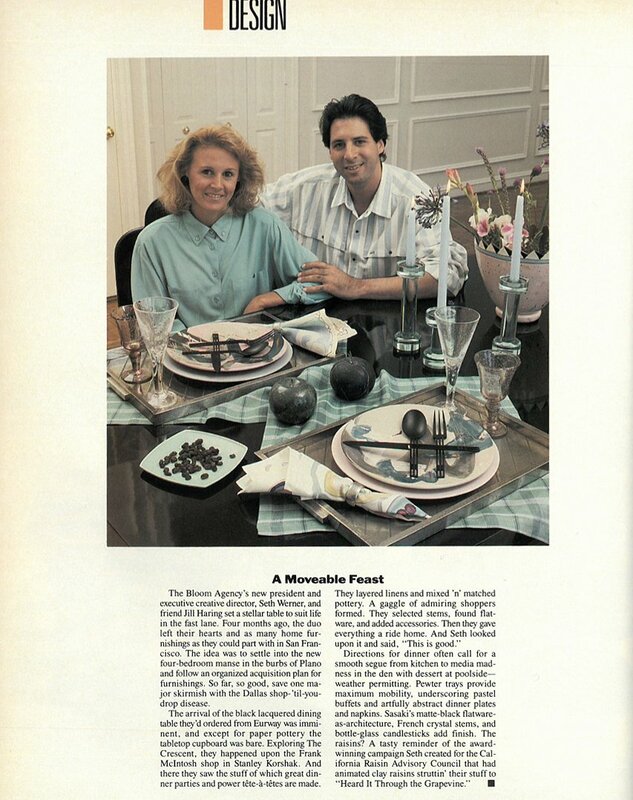 Check out some black pottery bowls from Taos, Spanish glass goblets from Neiman Marcus, and bulky pewter serving trays. It’s a breezy and fun read. 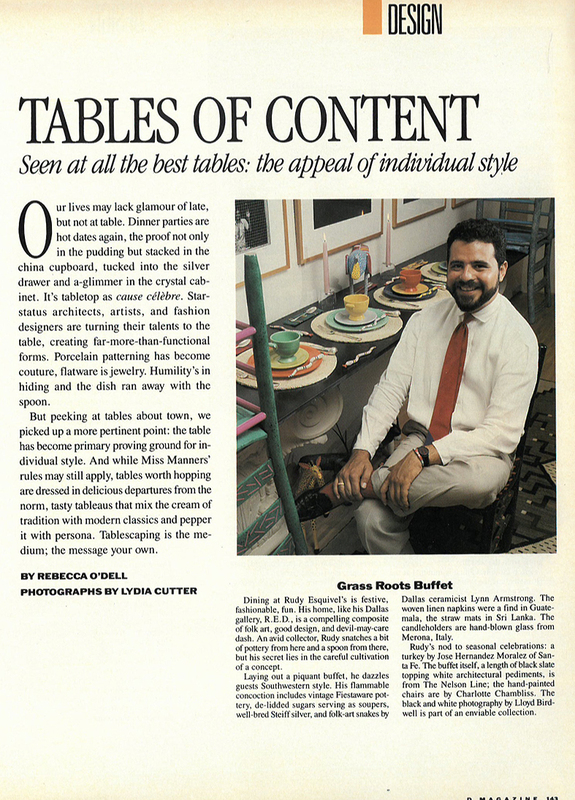 Click the images and take a step back in Dallas dining history.